Even the smallest detail may be important. Sherlock Holmes’s archenemy Moriarty is getting ready to unleash a reign of terror on London! He has been directing an accomplice to plant explosives all around the city in order to create the most chaos and destruction possible! Holmes has deduced where Moriarty has been hiding out, but it is up to you to find out who his accomplice is and where he has hidden the bombs before London begins to erupt in flame! After Room 5280’s amazing room, The Experiment, we quickly hopped over to experience their most challenging room, Sherlock! In a lot of cases, when a room is denoted as highly challenging, this can mean there’s a lot of red herrings, leaps of logic, or artificial difficulty involved, but we were pleasantly surprised to find that this was not the case with this room! This room delivered an engaging and clever black light puzzle that I really enjoyed, which is a testament to how much fun it was, since I’ve been regularly quoted as having a massive distaste for lazy black light puzzles. It was intuitive, fun to solve, and relied on a fair amount of teamwork. There was also an extra black light provided, which is almost always overlooked but highly appreciated. Another particular prop that I’ve seen in other rooms that is regularly made too obtuse or just plain frustrating is used to great effect here! 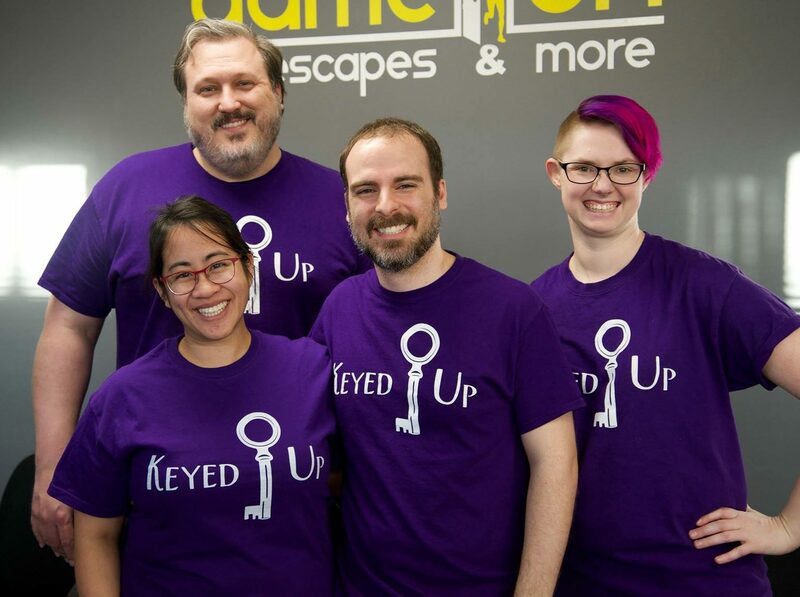 It felt like this game helped reintroduce how played out or frequently misused items from other escape rooms could be implemented in a clever and entertaining way. There are so many interactions in this room that just ooze simple yet genius game design, and though the technology involved is low, the tactile and mechanical nature of the room is superb. The game flow itself positively shines, proving that a Sherlock game can actually communicate the idiom that every small detail is important, and the simple set design works towards this advantage by excising the superfluous. Connections are logically made and the knowledge that everything in the room has a purpose creates a sense of puzzling nirvana that rarely gets tapped into. Though the set itself is more complicated than that of The Experiment, it never strays beyond the elegant and streamlined design sensibilities that made that game such a pleasure to play. One of the last puzzles involves an interaction that could be fairly difficult for those with poor eyesight, and even though I have 20/20 vision, it was hard to decipher at times. There wasn’t really a thematic reason I could deduce for why the puzzle was set up this way either, so it definitely wasn’t my favorite. One other puzzle required a fair leap of logic, but was the standard version only for enthusiasts, and those who come across it will probably have the meta-knowledge to succeed. However, it was easy to overthink due to the lack of direction and the nature of the puzzle itself. Sherlock is yet another feather in the cap of Room 5280, delivering a clean, innovative, and engaging adventure to the Raleigh area! Whether you’re an enthusiast or a newcomer, this challenging yet highly satisfying game is sure to deliver a fantastic experience. You can help stop Moriarty’s criminal plans here! Full Disclosure: Room 5280 comped our tickets for this room.